In the last 15 years, the “golden age of consumerism” has ushered in unprecedented access to real estate data, empowering homebuyers and sellers to potentially or partially manage their buying or selling experience—yet the perceived value of working with a REALTOR® has skyrocketed. According to a report by the National Association of REALTORS® (NAR), nearly 90 percent of buyers purchased their home through a real estate agent or broker in 2016—a dramatic increase from 69 percent in 2001. The success measure for REALTORS®, then, becomes how well they can properly interpret the data on the client’s behalf, how responsive they are to inquiries, and how likely they are to seamlessly manage the total customer experience. All three of those assets require a commitment to adopting marketplace efficiencies through the use of technology. It’s a big sweeping word that basically encompasses nearly every aspect of our lives—and, in real estate, it can be daunting. The truth is, though, that technology is simply an electronic way of 1) accessing digital assets that help consumers make informed decisions, and 2) automating our business practices or tasks in order to make ourselves more available and more valuable to our clients. Compartmentalizing—that is, breaking down into bite-size pieces—and choosing only those tasks essential to our cause is the key to taking those first steps toward making technology an agent’s friend, not foe. In the real estate landscape, nothing has helped REALTORS® become more responsive than mobile technology. The anytime, anywhere access to property data and reports has afforded agents even more opportunities to convey their value to consumers. One such digital asset is the app offered by Realtors Property Resource® (RPR®). Available only to REALTORS®, the exclusive portal offers an unparalleled platform of nationwide property data on residential and commercial properties. For example, within seconds of getting a call or text from a client, users can jump into the app, create a report and text or email it back to the client. The platform has also just released a CMA tool on the app. Other cool features include the ability to use your phone’s location to search on- and off-market properties, valuations, tax and mortgage info, distressed data, mapping, market trends and more. 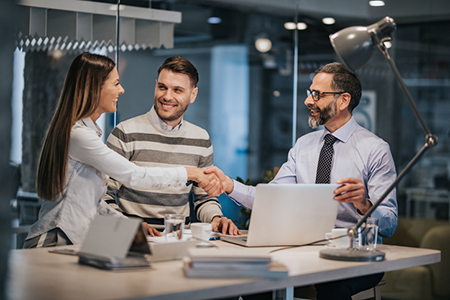 In the end, real estate agents who recognize that technology is a tool that can—and should be—leveraged to support new ways of conducting business and building successful relationships will lead the way. Educating consumers has become our best asset. We should use it to our advantage. Laurie M. Brown is marketing and communications manager for Realtors Property Resource® (RPR®). For more information, please visit www.narrpr.com.